Our company founded as Patsan Hunting Dealer in Afşin in 1984 has continued its activities as Kaysan Weapon Industry and Trade Limited Company in Kahramanmaraş since 1 January 1996. 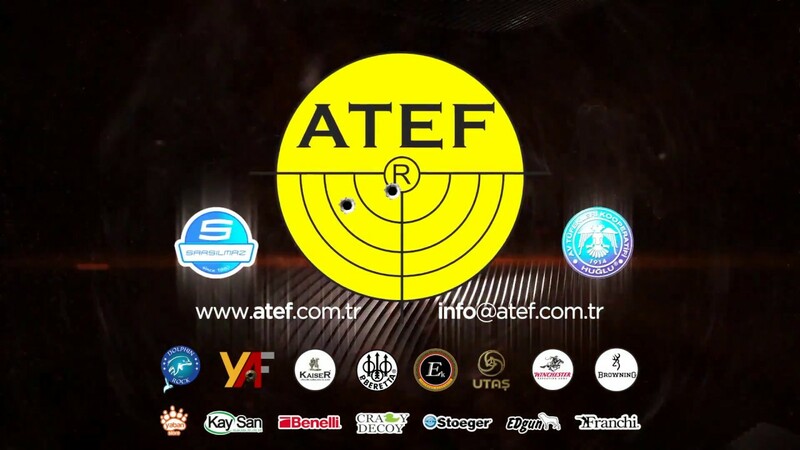 In 2014, Atef Outdoor and Hunting Materials Industry and Trade Limited Company was established and our activities have continued with KAYSAN and ATEF companies. In 2015, ATEF Outdoor and Hunting Materials Industry and Trade Limited Company got into the market of fishing materials with Dolphin Rock in addition to land hunting materials that it imports. Our company imports Crazy Decoy hunting decoys. Additionally, our production line includes ATEF’s air riffle pellets, sinkers and stools. Being distributors of Sarsılmaz Weapon Industry and Trade Limited Company, Huğlu Shotguns Cooperation, UTAŞ UTS-15 Shotguns, EDgun Air Riffle, Greenhead Gear has brought us increasing the variety of our products. Reaching all hunting dealers in Turkey is achieved with our five marketing personnel around Turkey. The vision of ATEF Outdoor and Hunting Materials Industry and Trade Limited Company is to become a leading grocer of hunting materials with a friendly and good-quality service to our customers fond of hunting and nature love. In the last twenty three-years period, Kaysan Weapon Industry and Trade Limited Company which embarked on with the principle of “selling to its customers with world standards by analysing the best new hunting techniques and products in the global market” has become one of the biggest companies that sell hunting materials and explosive substance. It acquired franchises of Orica Nitro Explosive Substance Incorporated Company, Barutsan and Mechanical and Chemical Industry. In 2005, it became the first company of the region in this sector by founding the store of explosive substance in accordance with the laws of the ministry of the interior owing to a change in the law as well as the developments in the techniques of civil explosive substance and the increase in the works of building and mine (such as barrage, highway etc) in the region. Our company that serves for selling explosive substance and providing technical support with its team of thirty five personnel and aims to develop itself constantly has pursued a policy for its infrastructural investment equivalent with developing world market. We are looking Brands to Representing in Turkey.